The new theoretical research in self-propagating high-temperature synthesis (SHS) is firstly summed up in this paper, and the features and strengths of SHS are analyzed in detail in the preparing and processing of new materials. The application status and technology trends in the industrial manufacturing are outlined and highlighted while SHS is combined with the traditional manufacturing field as well as the special conditions. These researches can provide a pro- fit reference to applying SHS technology. 崔洪芝. 静态自蔓延高温合成法形成陶瓷涂层的研究[J]. 中国表面工程, 2000, 13(3): 78-81. A. G. Merzhanov. Self-propagating high-temperature synthesis. Mascow: Proceeding of the first US-Japanese workshop on com- bustion synthesis, 1990: 129-131. H. C. Yi, et al. Review of SHS of power-compacted materials. Material Science, 1990, 25: 1159-1164. U. Yamada, Y. Miyamoto. SHS and ceramic compaction of mul- tiphase ceramics. International Journal of Self-Propagating High- Temperature Synthesis, 1992, 1(2): 275-282. R. E. Watson, M. Wemert. Ternary transition-metal aluminide alloy formation: The BiF3 structure. Physical Review B, 1998, 57: 12134-12139. 陈森昌. 自蔓延高温合成现状的技术研究现状[J]. 湖北汽车工业学院学报, 2002, 16(1): 28-33. 严有为等. 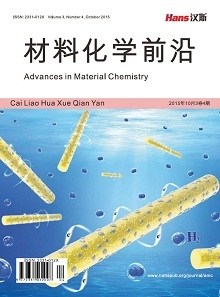 SHS基础研究的现状与展望[J]. 汽车工艺与材料, 1996, 12: 1-4. 宋谋胜, 冉茂武, 孔圆圆等. 自蔓延高温合成技术的研究现状与应用展望[J]. 铜仁学院学报, 2010, 12(3): 46-50. Z. A. Munir, U. Anseimi-Tamburini. Self-propagating.exothemic reaction:the synthesis of high-temperature materials by combustion. Materials Science Report, 1989, 3(7-8): 277-365. 汪华林, 李海林, 吴东棣. 自蔓延高温合成材料及工艺[J]. 功能材料, 1996, 3: 127-131. 栗卓新, 方见筠, 史耀武等. 高速电弧喷涂Fe-TiB2/Al2O3复合涂层的组织及性能[J]. 中国有色金属学报, 2005, 15(11): 132- 137. 牛二武, 阎殿然, 何继宁. 反应等离子喷涂Fe-Al2O3-FeAl2O4复合涂层的反应机理研究[J]. 材料保护, 2005, 38(6): 67-72. 殷声. 燃烧合成[M]. 北京: 冶金工业出版社, 1999. 段辉平, 李树杰等. 自蔓延高温合成焊接[J]. 焊接, 1999, 9: 104-109. Y. Miyamoto, et al. Ceramic to metal welding by a pressurized combustion reaction. Material Research, 1986, 1(l): 7-9. 刘建平. (TiB2 + Fe)/Fe叠层梯度材料的SHS/QP制备[D]. 武汉理工大学, 2000. 豆志河, 张廷安, 刘常升等. 自蔓延熔铸法制CuCr合金及表征[J]. 东北大学学报, 2006, 27(2): 89-93. M. V. Kuzetsov. Self-propagating high-temperature synthesisof chromium substituted magnesium zinc Mg0.5Zn0.5Fe2–xCrO4 (0 < x < 1.5). Journal of Materials Chemistry, 1998, 8: 2701-2706.